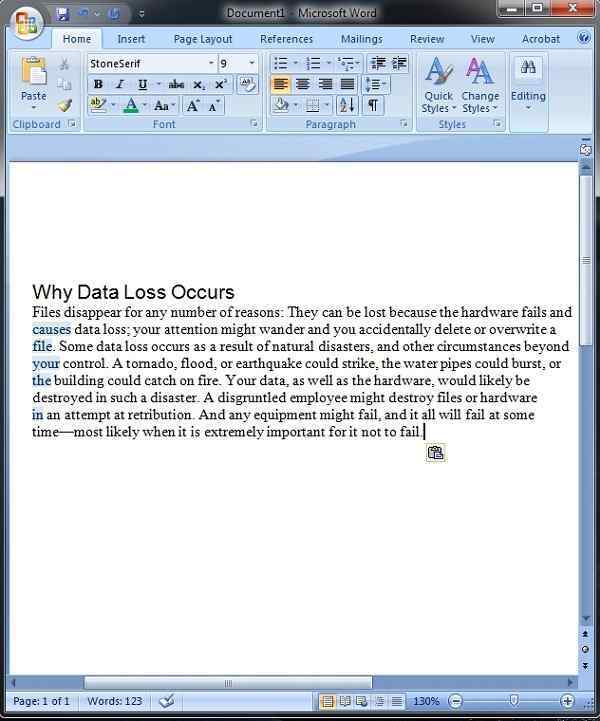 Easy Compatible- PDF file is compatible with any computer system whether its Linux, Mac or Windows while you may find some difficulty to open a word file on Mac computer. 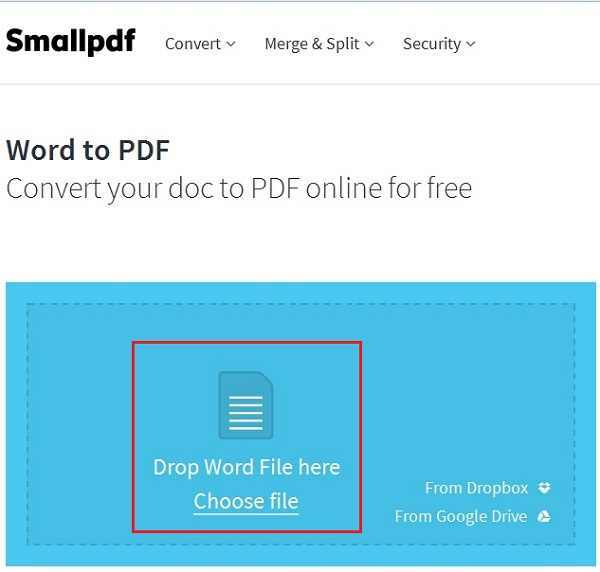 Easy Compression- PDF file is easy to compress, when you convert a docx file into a PDF file then you can quickly view the change in their respective sizes. Security Purpose- By the help of the high-level encryption feature, PDF documents are very secured to send over the internet. Here, we are providing you two methods. 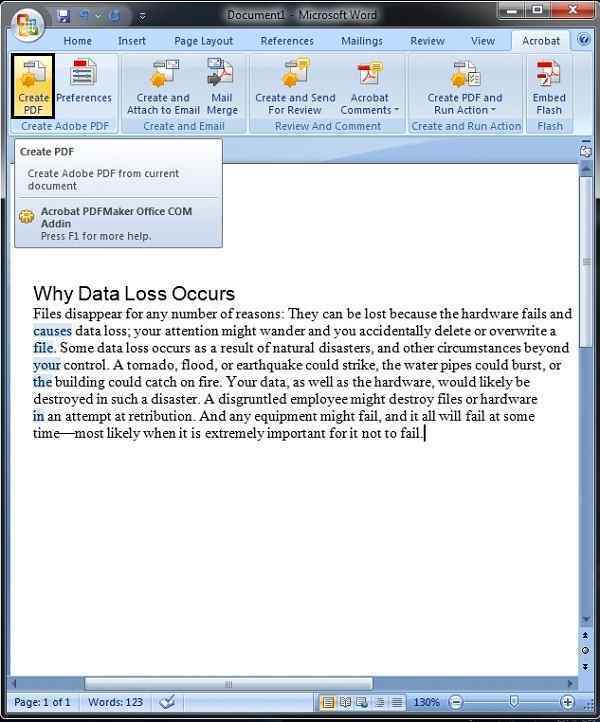 Just have a glance at this article to know more about how to convert Word to PDF file. Step 1: First click on the below link to open online conversion tool. 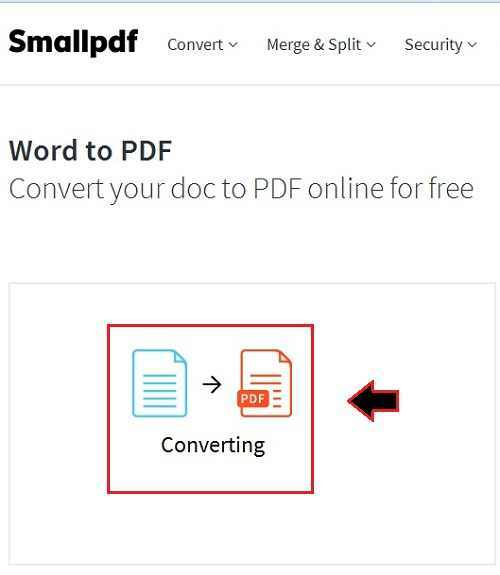 You can choose any tool as you want, but in our opinion, Smallpdf is one of the best and popular conversion tool available on the market today. 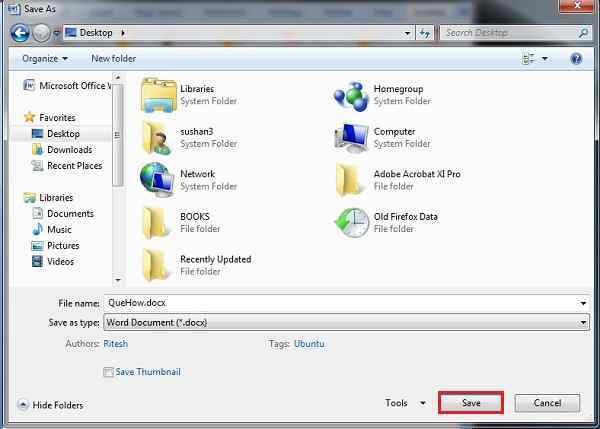 Step 2: Now, in the next step you need to click on the “Choose file” option which will locate and select your file which you want to convert. Step 3: It takes some time for the conversion process. You just need to wait for a while. Step 4: Now, click on the “Download File” button to save your file to your hard disk. Step 5: Click on the “Ok” button, as marked in the image below. 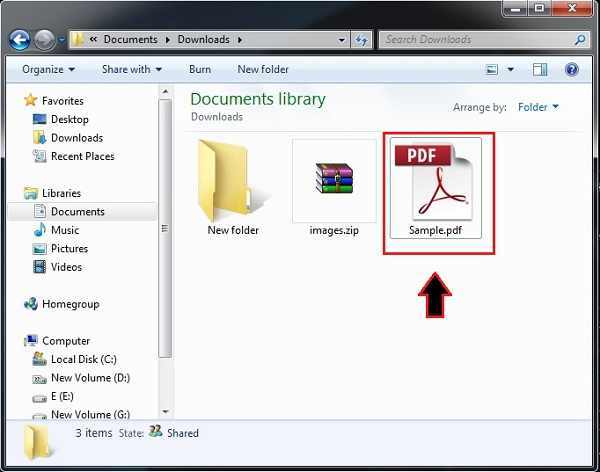 Step 6: Finally, you may see your PDF file as shown in the image below. Step 1: First open any of your ‘doc’ file using Microsoft Word and then select the “Acrobat” option from the menu bar. Step 2: In the next step, you need to click on the “Create PDF” option. 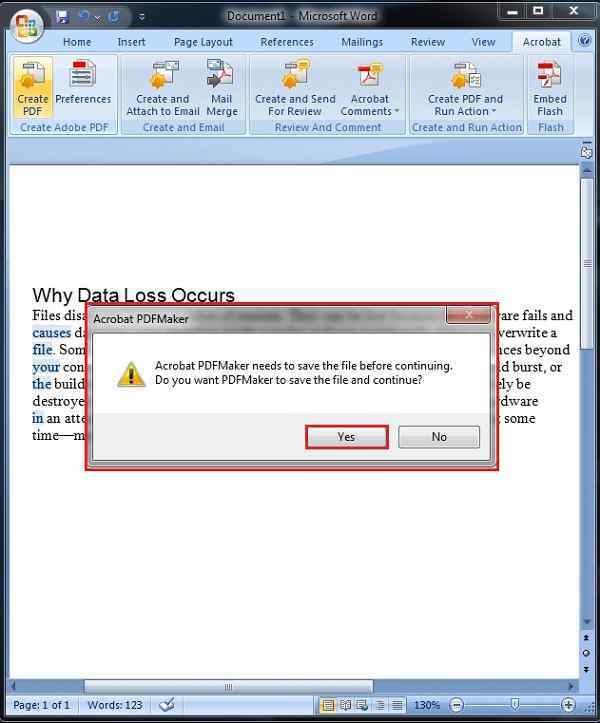 Step 3: Click on the “Yes” button, to save a copy of your file. Step 4: Now, click on the “Save” button, which will save a ‘docx’ file on your desktop. 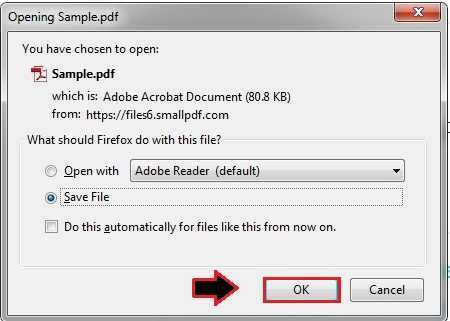 Step 5: In the same way, you need to click on the “Save” button to save your PDF file.